The invention of a new stilistic project and the conception of the way it communicates have to be grounded on three main foundations: experience, culture and intuition. Designers are often elaborating concepts that have been originated by chance: they get the idea from a picture, a color, a sentence from a book, a song…it’s hard to say why they would choose one thing instead of the other. Nobody knows the reason why, through all the audio-visual information baggage we built through the years (or even recently) something stands out compared to the rest. Although a fashion designer committs himself to a perception which he does adjust and stransform along with the stylistic developement of the collection. Some designers always get it right, others may loose their way getting distracted by commercial strategies. Normally, those who never listen to anyone but themselves make it. Hedi Slimane, after dedicating a few years to photography, is now the new creative director of Saint Laurent Paris: an air of mystery always surrounds each new project he has, nobody ever knows anything about the fashion show till the very last minute, not even the location. 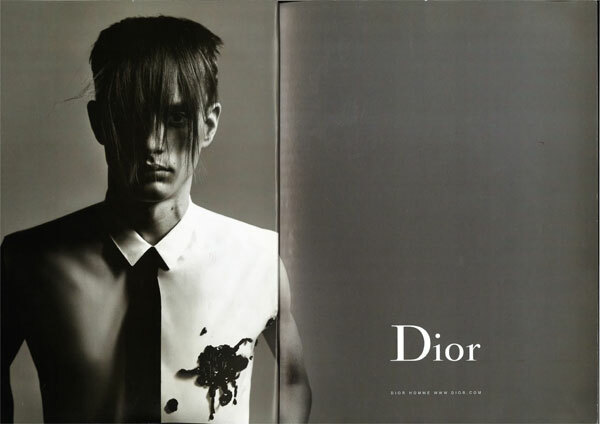 Slimane is a free agent, reluctant regarding attending social events, shy, quite solitary and he always seemed to go beyond all expectations: the photographs that he took for the current advertising campaing are amazing. He has detected a kind of aesthetic which is very different from the present one and has identified the image into an atemporal dimension, avoiding falling into the same old retro- rhetoric. 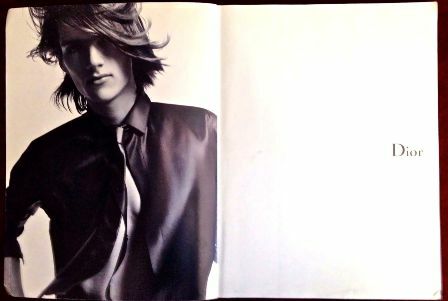 Singer and songwriter Christopher Owens, original picture by Hedi Slimane.